Reverend Guimo's Blog: I'm considering going to a lecture on so-called "Chaos Magic"
I'm considering going to a lecture on so-called "Chaos Magic"
I have a complex relationship with the word "magic". When I started studying fringe and occult philosophy I often ignored any mention of the word and decided to focus more on concepts that dealt with the mind and reality, rather than the controlling of forces. It just seems rather silly to me. Prayer is something I'd consider a form of magical conjuring, but that'd be as far as I'd go with it. Still, it is a rather important aspect of this entire thing I'm trying to understand, so why not just try a bit of it, right? What could it hurt. So I had heard about the idea of "Chaos Magic" after reading the Principia Discordia and bumping around various weird websites. And I can't seem to make heads or tails of it. My understanding was that it was something that came into fruition because of the Principia Discordia, but I don't really know for sure. A local occult shop in Brooklyn will be having a lecture on the topic, and I'm really considering attending the event. I've been meaning to go to Catland for sometime anyway. We'll see, we'll see. 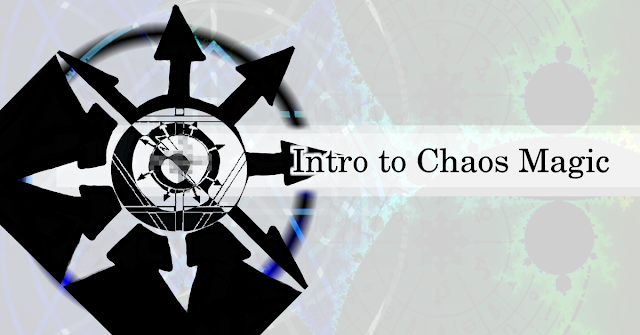 "Chaos Magic is a widely discussed but often misunderstood modern magical tradition. Many are familiar with its sigils, or certain broad strokes of its underlying principles. However, there is much, much more beneath the shining surface of this rich, flexible, and liberating tradition. Please bring a notebook or sketchpad."